Nadini Premadasa was born on 19th December. She is the Daughter of Mr. Kalinga Premadasa & Manel Premadasa. Nadini showed her talent in music starting from school days. She is a fine product of Musaeus College. Nadini had an inspiring hunger in music from her childhood. She kept the first step by entering to the primary band of Musaeus College. This is where she learnt to sense and feel the music even she was small. She participated in many singing competitions and ended as the winner in most. She also won the 2nd place in All Island ‘Nadagam Gayanaya’ Competition in year 2000. As a result of the credibility gained from these achievements, Nadini was chosen as the Leader of the senior brass band of Museaus College. She gave a boost to the college brass band being the pioneer to organize the band fiesta "Dolce Ed Vivace". Apart from that nadini was awarded as a talented senior prefect of the college. This gave her the opportunity to fine tune her leadership skills and to sharp her talent in music. The year 2007 is the revolutionary year of Nadini Premadasa. 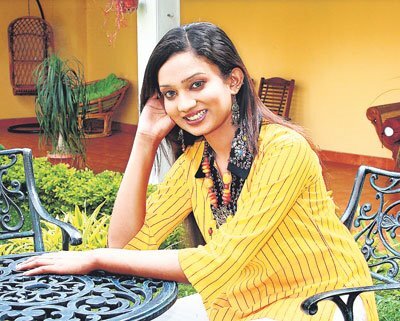 She unleashed her potential by entering to the “Sirasa Super Star Singing Competition”. This is the most competitive reality singing program in Sri Lanka. She had the courage and talent to compete with the best singing personalities in the country. As a result, she ended becoming an attractive and talented female singer. Starting with her 1st audio release Sapu Kusume in year 2007 and the 1st video production Madesa Balannaialso completed in the same year. Now she has come a long way by being a diverse singer featuring stage performances such as pop, hip hop, R & B, techno music, semi rock, semi classical. Her second music video wasGuruparata and third Gajaman Nona in 2008 made her more popular. She also featured with Chilli for ’Hinathatakeka’ with Ill-noise productions. Piyaman Kara Siththathi & Sitha Adare Soya are successful duets of Nadini. The song Yali Wadinna Budu Sadu was composed on a different theme. The theme of the song was to pay tribute to the motherland, religion and pleading load Buddha to enlighten the peace we gained after decades. Her latest release is ‘Inchi Pinchi Kumara’ with ‘SaReGaMa Productions’ .This will pamper a different thirst of her fans. Nadini is not limited to a one single style in music. She is currently an undergraduate. The learning of University Of Visual And Performing Arts ,makes her music journey much more accurate. Today, Nadini Premedasa has become a diverse musician who is tempted to explore new tunes in music. This singing nightingale is unleashing her talent to make sound in the world of music! Not just a voice alike!